At National Health Care’s Passport Rehabilitation Program, we understand that after a hospital stay or surgical procedure, every patient is eager to return home quickly and resume an active lifestyle. As an outstanding community healthcare resource for more than 30 years, we exceed expectations in meeting the needs of individuals who require short-term rehabilitative care following hospitalization. Our supportive and goal-oriented program uses the latest techniques and treatments, and we are prepared to cater to your individual needs and preferences with therapy customized specifically for you. Our staff of concerned and dedicated professionals will work with you from the start of your stay to map out a unique treatment plan that focuses on exactly what you need. Passport Rehabilitation centers are designed to provide accommodations that are conducive to healing with a nurturing and supportive environment that facilitates a swift and healthy recovery. 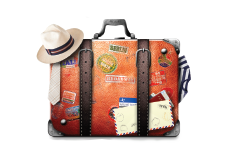 Passport Rehabilitation is all about one goal: getting you back home! Click to learn more about our Passport Rehabilitation Program!